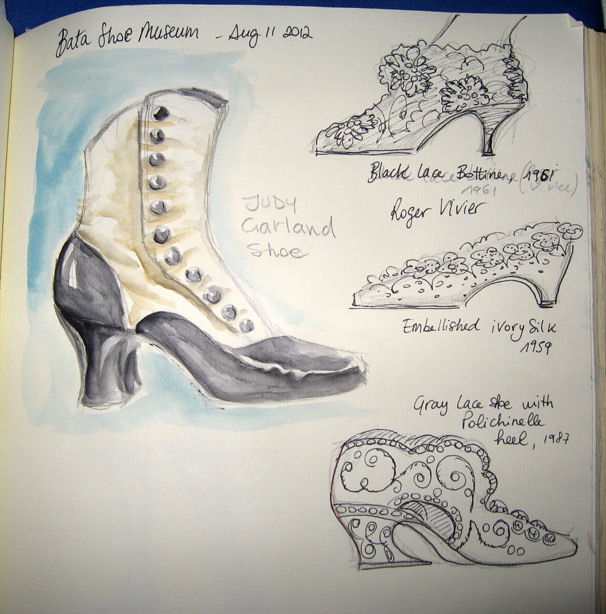 I have a new link for my Museum Sketching at the following page. 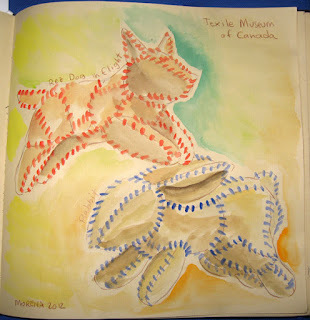 I'm still really enjoying the chance to use the CULTURAL ACCESS PASS and I'll try to keep sketching and visiting canadian history through this pass. 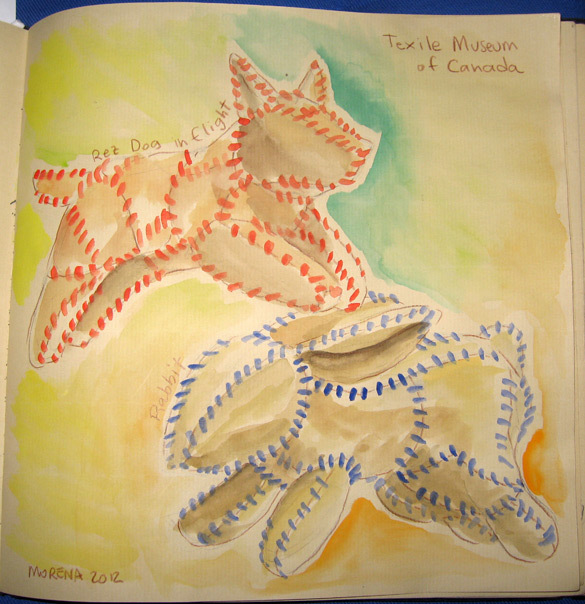 Both Bata and Texile museum change their exibition every few month, so this second time I visited both, I could see new things. The girl in the 20's dress is made up from pieces and bits seen in the Roaring 20ies room. This is a good occasion to advertise a bunch of things. about 2 month ago I went to a Schoolism masterclass with Jason Seiler. It was hosted in the Autodesk bulding here in Toronto, and they gave us a free copy of Sketchbook pro. So tonight I finally install it. I have to say, I really like the way the brush react to the wacom pencil. I still didn't understand how to use most of the tools, but I think it won't take long. 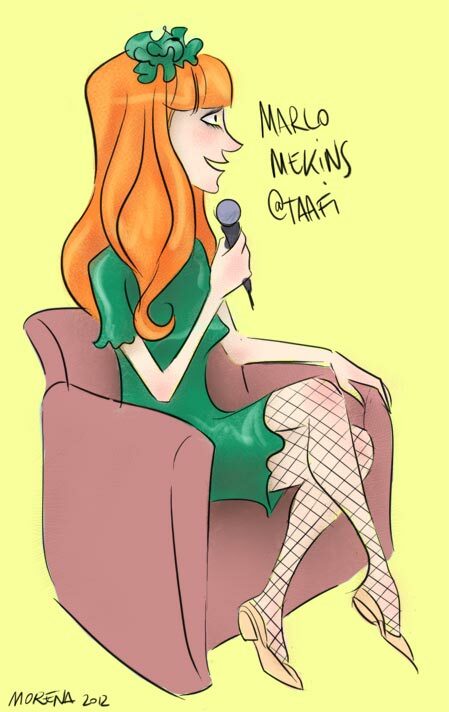 I made this colored sketch after a pencil one I did to Marlo Meekins while she was talking at TAAFI about a month ago. You should check out her illustartions she's really funny and original.